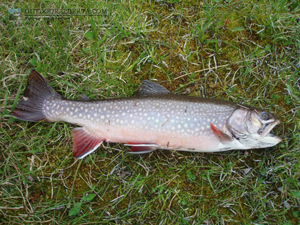 Species: Brook Trout, Cutthroat Trout? 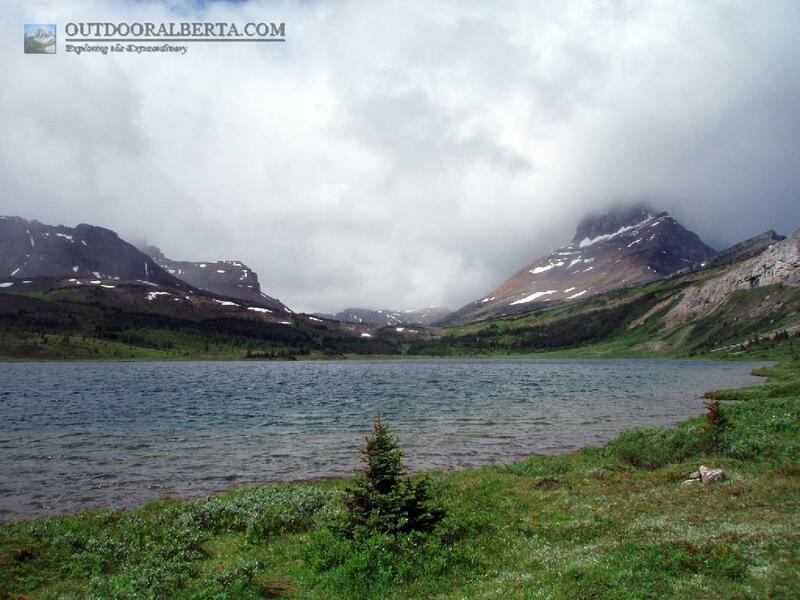 Baker Lake is a big backcountry lake located in the Skoki Area of Banff National Park. There was wind in this area which made the lake choppy on my visit.. Access is from several trails, the main one being from the Lake Louise Ski Area. There is a backcountry campground located on the east side of the lake. For more information on the area visit the skoki area under backcountry camping. Much like nearby Ptarmigan Lake the fish that seems to predominate here are Brook Trout. Fishing was good in Baker Lake with plenty of action even though there was wind and waves on my visit. Cutthroat trout apparently are or were in this lake as well. I did not catch any. Brook trout in this lake were generally in the 12-13" range. 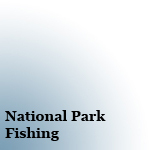 I would suggest larger fish do exist as well as the smaller ones since it's a naturally reproducing lake.